The Most Entertaining Classroom Traffic School In Florida! …But Going To Our Comedy Traffic School Classes Is! Fun, entertainining, upbeat instructors! Laugh while you learn! Great video/DVD. Friendly and helpful phone staff... A company that has been in business 30 years and has completed close to 2 million students - we must be doing something right. For our 4 hour BDI and TCAC Courses, we offer you quality educational classes, interesting class material, and guaranteed low prices! You will always receive your certificate in class! It's Simple... It's Fast... It's Fun!! We have convenient locations! Dozens of classes! Weekdays, Saturdays and Evenings too! Kissimmee Driving School Online is the only traffic school provider in Florida offering a trademarked, DHSVM approved CLASSROOM presentation that enables our students the ability to follow the teacher presentation as it is being presented via a coordinated and colorful "flip-chart show. "Naps are a thing of the past. Quality and consistency of instruction is guaranteed, teacher retention is much higher and students retain and enjoy the course more than a traditional classroom traffic school. What should you expect in a Kissimmee Driving School Online class? You can always expect a fun, and very outgoing instructor who has the latest in entertaining video and class materials. You will find a helpful and knowledgeable instructor who will make you think about important traffic safety information that could save someone's live. Our goal is to have you laugh while you learn. We want you learn about safety, but we also want the material to be informative, accurate and fun. We feature professional teachers, entertaining videos, colorful class charts, comfortable meeting room facilities, and a nice selection of days and times to better serve you. You can sign up online or please call one of our helpful operators at 407-348-0005, 6 days a week (MON-SAT 9AM-6PM) to schedule an appointment. Or you can register for a class online "Register Here" The cost of the course is only $30 and this includes your certificate in class. 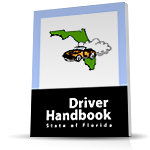 Kissimmee Driving School Online offers select cities and locations for its classroom program. Please schedule early for the best choice of times and dates. Whatever Kissimmee Driving School Online course you choose (whether it is our classroom or online or incredible DVD/Video course or one of our other DHSMV approved courses), we are confident that you will learn something of significance that could save your live (or that of a loved one) and enjoy the course due to its light hearted, educational nature. We have a 30 year old reputation as one of the nation's largest traffic school providers, and we are committed to offering our students the most educational and affordable programs the state.